'Ambient Metal Constructions Bundle' contains volumes 1 to 3 of this unique and inspiring series to bring you the complete experience. 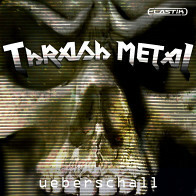 Includes a massive amount of guitar, bass, drum and synth loops that will take you on an epic journey from hard edged tech metal to subdued ambience. 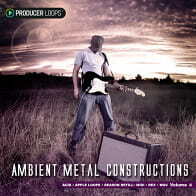 The first three volumes of Ambient Metal Constructions were the only sample packs to combine the sounds of modern tech and progressive rock, with the smooth, liquid vibes of trance and chillout to create an entirely unique product that was at once bold and experimental, while also extremely versatile. 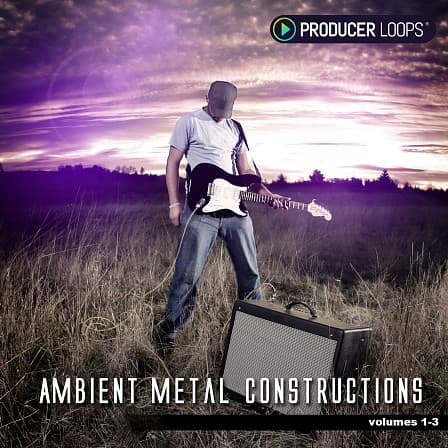 Now, 'Ambient Metal Constructions' combines all three volumes into one pack for a lower price, containing a massive selection of Construction Kits in a choice of ACID, Apple Loops, REX (drums only) and Reason ReFill formats. Each kit contains real bass and guitar loops (rhythm, clean, atmospheric and lead), multi sampled drum patterns/fills, and synth phrases (arpeggios, pads, lead lines and FX). MIDI data is also included for Ambient Metal Construction 2 and 3 for producers who like to get into the nuts and bolts of their projects and use their own synth sounds. 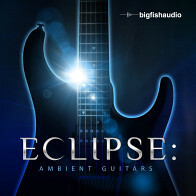 The guitars themselves were recorded using high end guitar amp modelling processors, and played on Ibanez Prestige instruments, including their monstrous 8 string guitar - you won't have heard this sampled anywhere else. All synth sounds were created from scratch for the purposes of this pack, with each sound specifically designed for the theme at hand. The result is that each kit is set to its own individual soundscape to give it character, cohesion and to inspire the creativity and imagination of the producer seeking a modern edge in their projects. Paul Ortiz is an extremely talented musician and composer and still in his 20s. Besides his exciting solo projects, Paul also offers his services to clients seeking original compositions for anything from theatre and dance projects, to television and multimedia ventures with an aim to write music for video games and small films. Clients so far have included Cambridge University, Dolby, Red Bull and Teachers TV. You can find out more about Chimp Spanner here. The Following End User License Agreement is included with Ambient Metal Constructions Bundle (Vols 1-3). This License is only valid for the individual who has purchased an unopened, new and lawfully made copy of Ambient Metal Constructions Bundle (Vols 1-3) from a dealer or distributor authorized by Big Fish Audio.